Well they’ve now managed to get nearly 8,000 signatures and at least half of them seem to be from actual people rather than made-up names. Man oh man! Who knew there were so many people using Linux? When I saw this I thought, Ya know, maybe we should do a version of iTunes for Linux after all. No, Linux users are the OS equivalent of the early Napster or Kazaa users, the kind of guys who would waste hours online downloading illegal songs and risk getting all sorts of malware just to avoid spending 10 bucks on a CD. And even if they weren’t the ultimate cheapskates, I know for damn sure they’re not going to buy our iTunes songs wrapped in DRM; these guys are the ultimate DRM foes. So I know what you’re thinking. Why do it? Well, it might be good buzz. Could make us look hip. 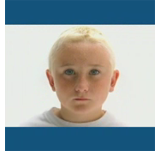 We could get that weird blonde-haired Eminem kid from the old IBM Linux ads, put him in a pair of iPod earbuds and have him do some spazzo Linux dance. Then the words, “iTunes on Linux” run across the bottom of the screen. Cool, right? Makes us look all open and non-restrictive. Definitely worth tossing two million down the toilet if it would get these Eurotard regulators off our backs.